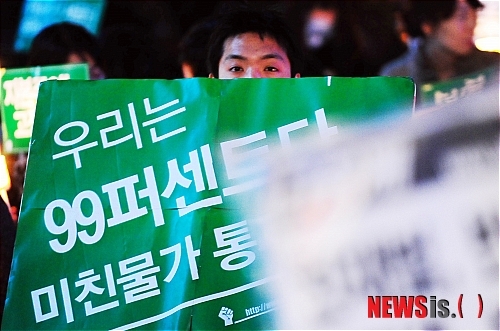 Inspired by the Occupy Wall Street protests and the “we are the 99%” slogan, a group of labor and other organizations have begun Occupy Seoul (서울을 점령하라) protests. They are opposed to the KORUS FTA and support more regulation of financial firms. They have now held two 99%-theme protests.